. 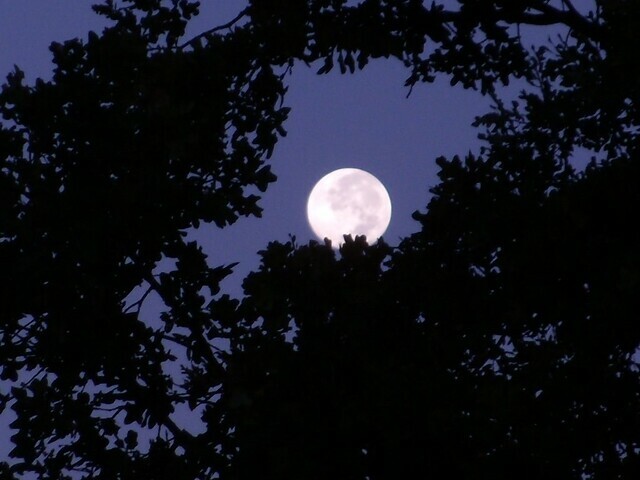 pre dawn moonlight held by branches . sunlit shadows held by wood and note . Light brings everything to life, doesn't it? Beautiful pictures, ELK. Oh... I love both. And I needed to see this beauty this morning. Thank you. both are gorgeous images elk! 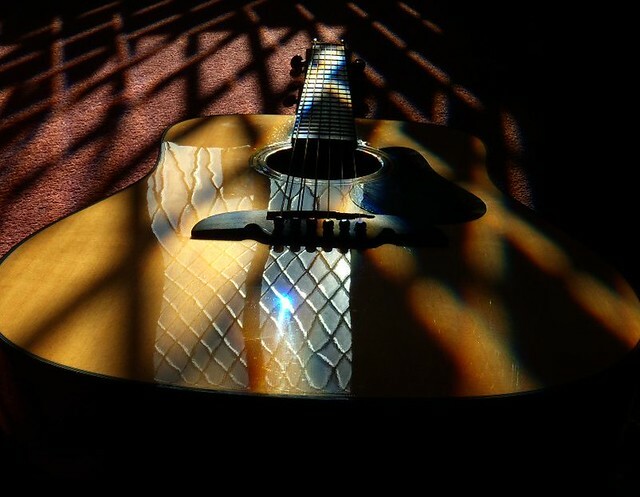 The reflections on the guitar just took my breath away! your images just BLOW MY MIND!! You have a beautiful blog, love your photos! gettn a kick out of those reflections. yeah,baby! the moon looks as if weighs nothing. i like that thought. your guitar picture is wonderful. i love your view and your mind. ooohh you give me chills! every time. your writing is so wonderful. Noticing art around us, for us, in us. Such exquisitely beautiful images of captured shadow and light. Especially love the guitar!!! These are marvelous. I really, really love the light on the guitar. perfect. a welcome sigh at the end of this long day. i love the idea of a duet of light. very magical-feeling. This makes me feel so peaceful. What a wonderful pairing of word and image.